Pam Flam, Anne Besse-Shepherd and Posie Haeger cut the ceremonial ribbon. 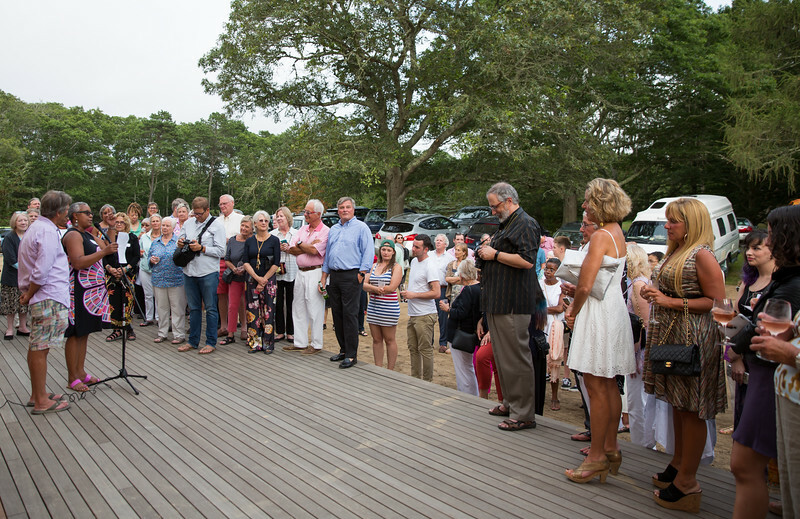 As the sun went down on Friday evening, cars filled up the parking lots at Featherstone Center for the Arts in Oak Bluffs. Then cars filled the space along the narrow driveway. Then they filled the open areas along Barnes Road. 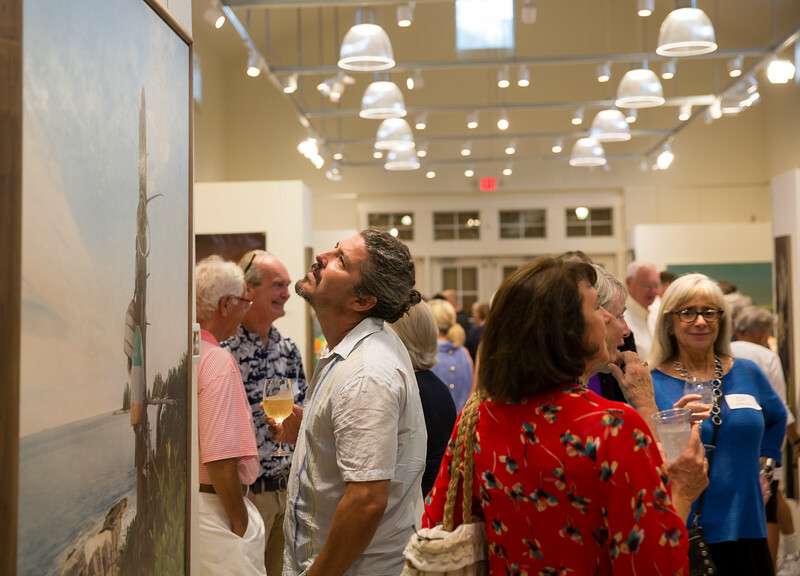 More than 500 people came to see the opening of Big, the inaugural show of pieces by nearly 70 Vineyard artists at the newly opened Art Barn. Executive director Ann Smith emerged from the crowd. “I hope Oak Bluffs isn’t going to have to close us down on our first night,” she said before darting away. But if the massive crowd was something of a surprise, the outpouring of support for Featherstone was not. 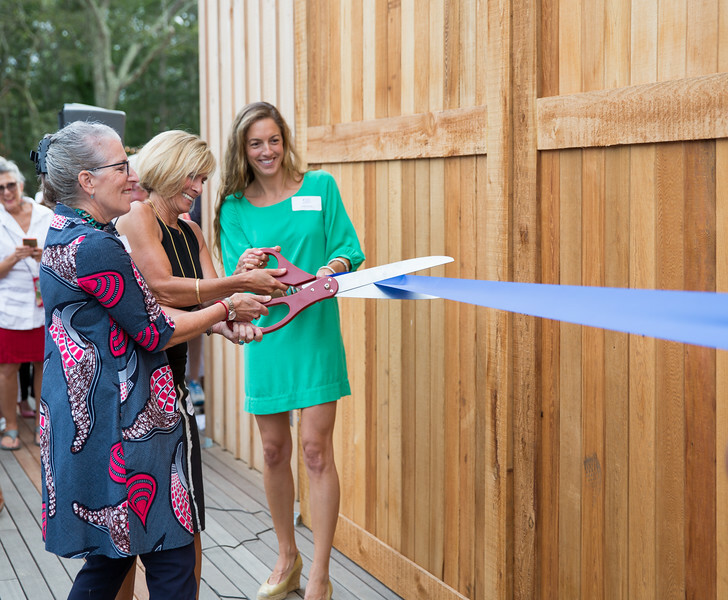 The newly renovated arts center now includes a separate pottery studio as well as the first purpose-built art gallery on the Island. The gallery is named after Ann Smith’s late mother and former Featherstone executive director Francine Kelly. All the artists in the show have a relationship with Featherstone, Ms. Smith said. The invitation to participate requested large-scale works that couldn’t have been shown in the old building. Pieces on display featured a variety of subject matter, from land and seascapes to portraits and abstract work. The art also varied greatly in medium from the vinyl banner and silver darkroom print to a photo-realistic oil painting and a gold-leafed vessel. Peggy Turner Zablotny and her husband Steve perused the array. Mrs. Turner Zablotny was wearing a silk scarf printed with her botanical collage — the same image that hung on the wall. Painter Traeger di Pietro reverently touched a hand to the place where Ms. Kelly’s name was printed above the gallery entrance. “Tonight marks a dream fulfilled for so many of us,” Ms. Smith said in remarks. 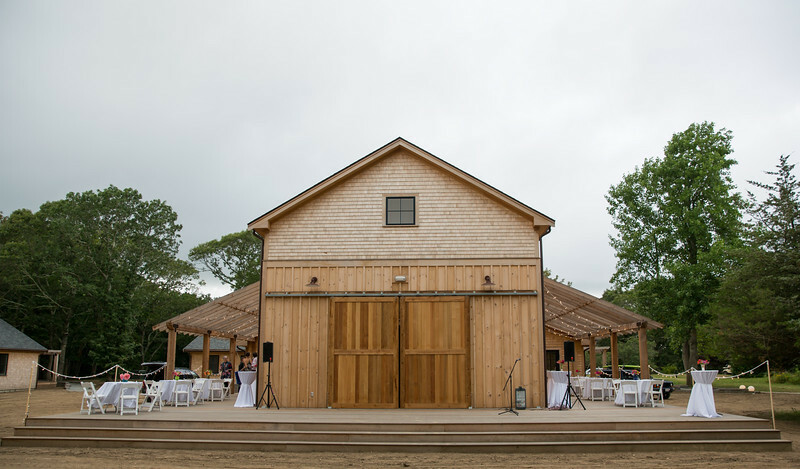 She thanked a long list of supporters, staff, board members and donors, as well as Squash Meadow, the construction company that built the barn. She then turned the attention to her late mother who died early this year. Ms. Smith recounted how many of her mother’s friends had described her as colorful, striking and larger-than-life and said the Big show served as an impression of her energy. “Your dreams have come true mom, so let’s celebrate,” she said. Mrs. Flam and fellow building committee chairman Anne Besse-Shepherd cut a blue ribbon with jumbo scissors, and the crowd cheered.